Many of our customers are getting ready to store their sprayer. To make this task as easy as possible, we've been sharing our end-of-season tips and tricks in our previous posts. 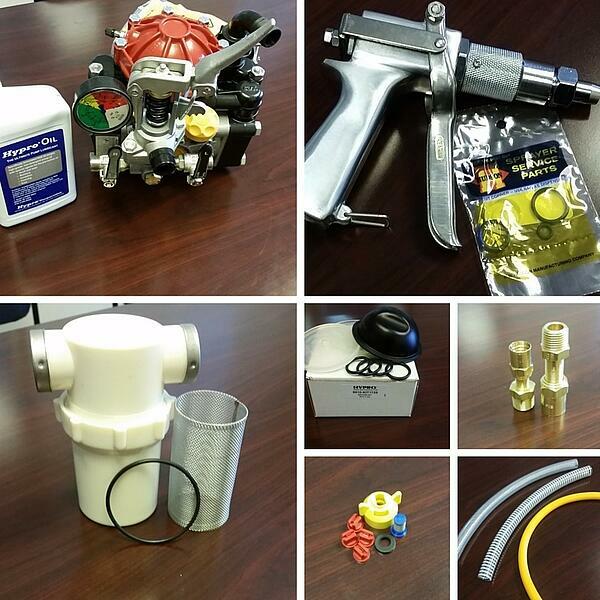 Now is also the perfect time to put together a sprayer emergency kit if you haven't already. An emergency kit will cut your downtime and save you time and money by keeping a few essential parts on hand so you can quickly repair your spray equipment. When breakdowns happen no one is happy, so avoid downtime by stocking up on replacement parts. The parts in your emergency kit will vary depending on the type of spray equipment you use, but we've compiled a list of the most commonly needed parts for repairing and maintaining some of our most popular Kings Sprayers. Spray Tips and Nozzles: Replace spray tips and nozzles immediately if you notice a change in flow rate or a change in pattern distribution. Damaged spray tips and nozzles are sometimes overlooked but can cost you money and precious time if not replaced in a timely manner. Strainers: A clogged strainer is one of the most common repairs our Service Repair Technicians see on a daily basis. You can prolong your strainer's life by cleaning it often, however, it's a good idea to keep a replacement strainer, gasket and seal. Spray Guns: We recommend not only keeping a spray gun repair kit but also a spare spray gun that you can use, just in case. One of the most common spray guns is the JD9-C pictured below, we sell a repair kit to replace the seals if the gun starts to leak and we have a short instructional video that will make the repair a breeze. Spray Hose: Although hoses are pretty tough they can bend and crack which affects the performance of your sprayer so we recommend having spare suction, bypass and discharge hoses on hand in case you need a quick replacement. Hose Fittings: Besides storing replacement spare hoses, reusable hose fittings should also be on your list. Check out our video on this easy repair! Diaphragm: Having a diaphragm repair kit in your emergency kit is definitely a must. These handy and inexpensive kits can make all the difference when it comes to staying up and running, or increasing your downtime. We have a couple of instructional videos that will guide you on the steps necessary to replace the diaphragm in your pump. Pumps: Just like the diaphragm, many parts in your pump can be easily replaced, but some can't and sometimes the pump will fail and the only solution is a replacement. We recommend keeping a spare pump as part of your emergency kit. 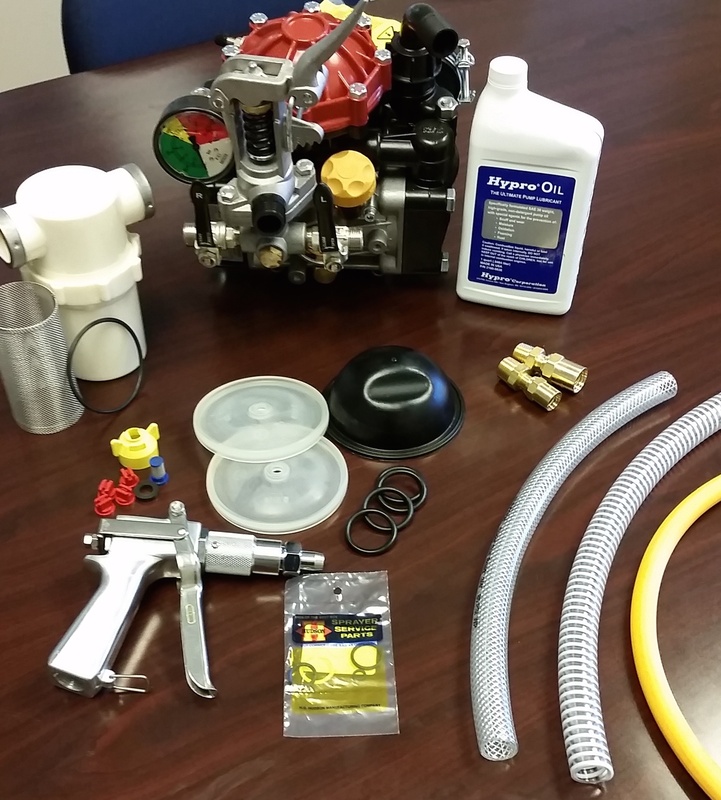 A sprayer emergency kit will also help you save money by avoiding a trip to the service and repair shop, but in case you need it, you can count on us to offer you the best repair service. Don't hesitate to give us a call if you need help with a repair, or if you want to schedule a repair and service appointment at our Orlando, FL retail location. Just call 800-228-0905. What do you keep in your sprayer emergency kit? Leave a note in the comments below. We'd love to hear from you. Is a Custom-Built Sprayer Right for You?